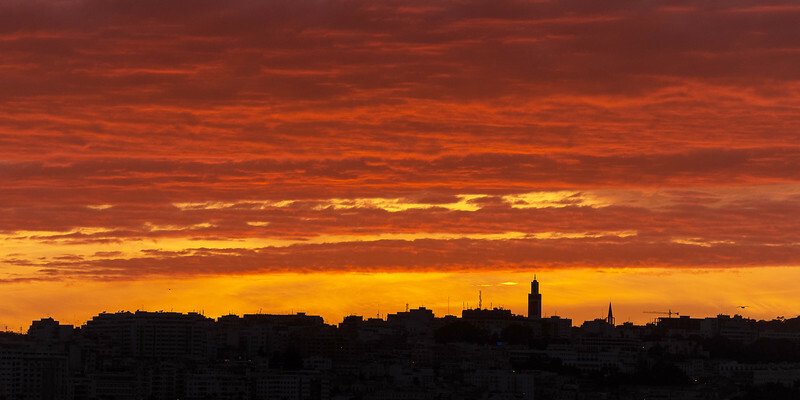 Tangiers, situated on the northwest cusp of Africa, sees some magnificent sunsets. The skyline is silhouetted against a billowing orange sky. The minaret on the Sidi Bou Abib Mosque overlooking the Grand Socco of the medina, is clearly visible.